Imagine a World: Everything Between Us Book Tour: Review + Giveaway! Everything Between Us Book Tour: Review + Giveaway! Click on the banner for the full schedule. Emotional and romantic, Everything Between Us was a fantastic New Adult read. I really enjoyed reading this lovely book. Stella was a heroine trapped by her own panic attacks. Whenever she goes out in public, she is crippled with them, and has since decided to stay in her house. She dropped out of her college, moved back into her parents house, and refused to leave the safety of the solitude since then. But, her mother decides that enough is enough and hires an art teacher in the hopes that having some kind of creative expression would help Stella. I liked Stella. She was a strong character despite being trapped by the panic attacks. She starts off as kind of a passive character, but gradually gets stronger. She eventually decides to go to therapy for her panic attacks, go against what her parents want for her in favor of what she wants, and fights for she was wants. I thought she was a great character. Daniel was also wonderful. He's an artist who trades another service with the rich cougars. That reminded me of Mason from Price of a Kiss (totally love him! ), but this situation was different in that Daniel was willingly doing it. Deep down, he was afraid that his talent alone wouldn't stand in the art world, and used the "extra lessons" as a crutch for his career. I have to admit, it was a little weird that Daniel was doing Stella's mom before they got together. Kind of bizarre. But, I could handle it, so it wasn't a bother. Daniel was very sweet. He was very devoted to what he loved, whether it was his art or Stella. I really liked him. The romance was lovely. Daniel and Stella were very sweet together. They were a perfect match and entirely devoted to each other. And, the chemistry between them was hot. I thought they were wonderful together. The plot was well paced. I was kept interested the entire through, though I wasn't totally hooked. I enjoyed the story and the ending was perfect. Everything Between Us was a fantastic New Adult romance. I really enjoyed reading it. Lovers of romance, this is a book you'll want to check out. Up for grabs is an e-copy of Everything Between Us. Open INT. Ends November 17. Great review, Farrah! Daniel and Stella's relationship sounds swoon worthy and both characters individually sound great, too! I wouls especially enjoy Stella's story with the panic attacks it would probably be very emtoional. I love character oriented books like this! Entangled: Embrace Tour: Guest Post + Giveaway! Ever After Book Blitz: Excerpt + Giveaway! For Real Book Tour: Review + Giveaway! Entangled: Flirt Blitz + Giveaway! Bad Boy Rock Star Book Tour: Review + Giveaway! Alive Book Blitz: Excerpt + Giveaway! Eternal Echoes Book Blitz + Giveaway! Something Great Book Blitz: Teasers + Giveaway! Ink My Heart Book Tour: Review + Giveaway! Branded Book Blitz: Excerpt + Giveaway! 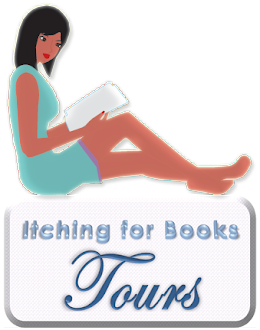 A Little Too Much Book Tour: Review + Giveaway! November New Release Giveaway Hop! For Real Release Day Blitz: Excerpt + Giveaway! Loving the Earl Book Tour: Review + Giveaway! Damselfly Book Blitz: Excerpt + Giveaway! Giveaway Alert! Signed Set of the Lux Series! Love and Relativity Book Tour: Review + Giveaway! 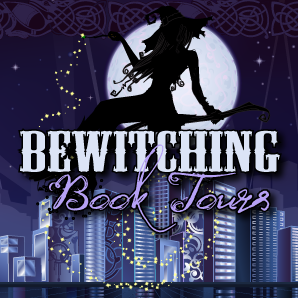 Moirai Book Blast: Excerpt + Giveaway! Soul of Flame Cover Reveal + Giveaway! Fighting Fate Book Tour: Review + Giveaway! Imagine a World by Farrah Sayyed is licensed under a Creative Commons Attribution-NoDerivs 3.0 Unported License. Blog Design by Laura Plus Designs. Simple theme. Powered by Blogger.